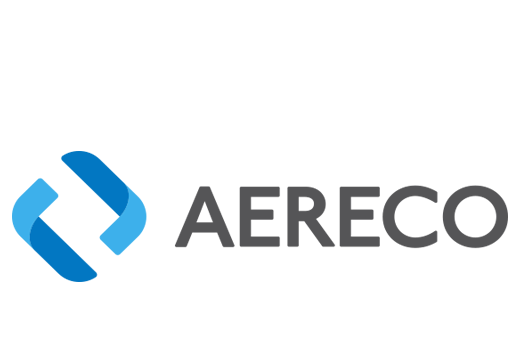 Simon Jones of ventilation technology company Aereco took a call recently from an architect looking for advice. The architect was working on a residential development that had just been completed, but there was a problem. Jones isn’t the only building professional to have run into mould in new houses in the last few months. Gavin Ó Sé of Greenbuild in Co Wexford was also called in to advise on an almost identical issue. “The contractor had installed good insulation and achieved good airtightness results, but in one or two of them, he had been called back for condensation build up,” Ó Sé says. And Archie O’Donnell of Integrated Energy and Coda Architects has also had recent experience of condensation and mould in new builds. In fact, all of the professionals interviewed for this piece had a ready stock of stories of how poor ventilation strategies in particular, and questionable building practice in general, continue to dog Irish construction. These issues, Simon Jones points out, are not new. He’s been discovering condensation and mould in new buildings for at least the last five years. His concerns – and those of many others in the industry – centre on the tentative resurgence in building activity and what it implies for the quality of construction. Jones points out that during the recession, most house building in Ireland fell into one of two categories. “One is council driven,” he says. “New builds for the likes of Ballymun regeneration or Limerick regeneration, where specs are being led by councils who have demanded certain performance levels. Or else you have the passive house, one-off builder who has been building ever better homes over the last half decade.” Both categories of builder have an obvious vested interest not alone in delivering a cost-effective project, but also in ensuring that the structures they build provide a safe, low cost, high comfort living space for decades to come. But now things are changing. The Ulster Bank Construction Purchasing Managers Index, a measure of activity and sentiment in the sector, recorded an increase in construction activity for each of the last 13 months. Meanwhile, September’s housing market report from the Society of Chartered Surveyors said that 35,000 new houses will be needed to meet rising demand in Dublin over the next four years. The risk that Jones and others have identified is that developer-led construction brings a whole new set of priorities to the equation. “Quantity surveyors get involved and begin looking for ever cheaper products. They start looking to cut corners, they start asking questions: What can we get away with? Do we really need that? The danger is that there will be a race to the bottom with specification, a race to the bottom with skills, with labour...This is a high risk time,” he says. None of this is to imply that a return to growth isn’t welcome, and Jones, while pointing to the risks, is also quick to point out that the industry stands to benefit from the commercial rigour that professional developers will bring. One of the central challenges facing the industry as it begins to pick itself up again centres on skills. The 93,000 houses that went up at the peak of the cycle in 2006 were subject either to the 1997, 2002 or 2005 versions of Part L. Many of the builders responsible for those houses were abruptly sidelined by the property collapse. Now, as they return to building sites, they’re being asked to build to a much more demanding standard. The revised building regulations 2011 have effectively upgraded the minimum standard from a B3 rated property in 2005 to an A3 today. 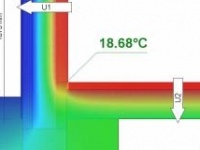 Backstop U-values have been radically overhauled, thermal bridging has been addressed. While the airtightness requirements remain weak, they are still far more strenuous than ten years ago. Builders must now deliver a 60% overall improvement in the energy performance of new dwellings compared with 2005. The question is, can they do it? for this piece share. 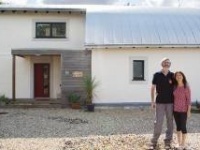 Developer Joe McGowan, who is currently building 154 passive houses in Abergele in Wales, says that he can charge more for houses which are cheaper to run. This isn’t just wishful thinking. A 2012 Oxford University research paper1 found that A-rated properties commanded an 11% price premium over D-rated houses, while a 2013 Department of Energy & Climate Change report2 found that A or B-rated homes sold for 14% more than G-rated homes. “Delivering that standard does not require a huge amount of money,” says McGowan, who adds that he has faith in the industry to rise to the challenge and deliver these higher specs. Others aren’t so sure. Martin Flattery says that the current building environment is fraught with risks. His concerns centre on the lack of any real scientific rigour in many of the building methods that are being deployed to reach these higher standards. “Builders are adding a bit here and there, making up their own thing and ticking boxes to comply with regs,” he says. He points out that cavity block construction with partial or full-fill cavity insulation has long been the staple of the industry. But because filling a standard width cavity with insulation alone will no longer deliver the 2011 backstop U-values, builders, instead of exploring new methods, are typically adding a warm liner to the inner leaf. Flattery points out that this piecemeal approach to achieving the new standards is far from optimal. “A lot of the builders are sticking to what they know,” says Flattery, “and then they’ll simply supplement it to comply with regs and get an A-rated house. But you ask them where the dew point is and they haven’t a clue.” He laments the fact that there is no neutral agency to provide unbiased information on the best ways to achieve the standards required. He explains that when you split the insulation in two, the temperature of the inner leaf can drop below dew point temperature. People assume that the foil layer on the back of the composite insulation is a vapour control layer, but that layer is compromised at joints, intermediate floors, party walls and at sockets and pipes. Moisture laden air can get through the composite insulation layer and condense on the block inner leaf. He goes on: “We’ve noticed in recently built houses where works would be done to extend or replace windows, when we remove the dry lining, we find black mould behind it.” He says that when considering insulation strategies, you have to consider vapour management and ventilation strategies simultaneously. 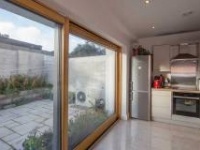 “The emphasis on achieving high performance airtightness and vapour control cannot be compromised.” In July 2010, the Department of the Environment published a regulatory impact assessment (RIA) on the proposals to amend Part L of the building regs. The document included a table which listed nine separate dwelling specs as a guide to achieving compliance with the new regime. The spec for all nine included the following example: block-built cavity walls with 100 to 140mm partial fill cavity insulation in a 150mm wide cavity, and 50mm of dry lining on the inner leaf. This is exactly the kind of build-up that the experts interviewed for this article describe as problematic. By creating the impression that natural ventilation supplemented by extract fans in wet rooms will be sufficient to maintain indoor air quality in super-insulated, airtight homes, the regulations are making air quality hostage to commercial expediency. If a developer isn’t required to spend money on delivering a working ventilation strategy, he won’t. Note that the mould growth issues identified in this article all occurred before occupancy – granted, while the buildings were drying out. Add people into the mix and the potential risks may increase dramatically. In this climate, drying clothes inside is more the rule than the exception – especially in apartments – while Irish homeowners have a long history of blocking up holein- the-wall vents. Over-occupancy and what the industry calls ‘excess’ furnishings can further compromise a natural ventilation strategy. It is vital to point out that the problem here is inadequate ventilation, not airtightness. 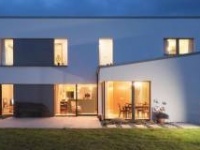 The common misconception about airtightness is that it is solely about the improvement of thermal performance. 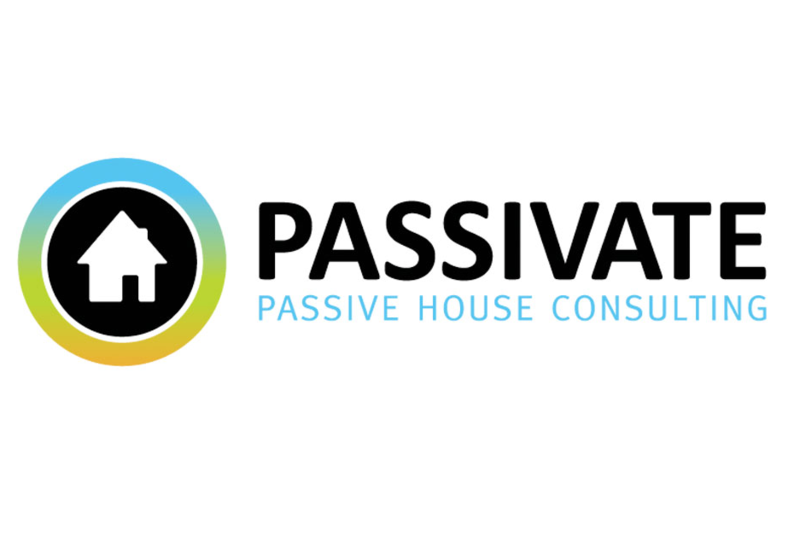 The reality is that it’s about structure —after extensive research, the Passive House Institute settled on 0.6 air changes per hour as a target to mitigate the risk of interstitial condensation and its implications for the structure of buildings. 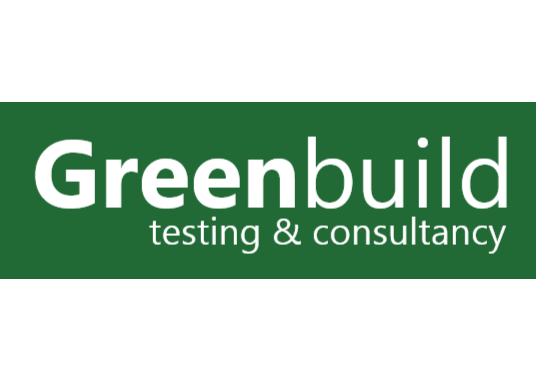 Another option is to commission a certified and registered thermal bridging modelling assessor to calculate the Psi-values for each thermal bridge – potentially adding significant additional costs just to establish how good or bad the chosen details are. Alternatively a Y-value of 0.08 can be used for details in accordance with the acceptable construction details (ACD) created to support the 2008 regs. But as Lundberg points out, the ACDs are incomplete – they don’t include a door threshold detail, or other common details such as a roof insulated on the ceiling plane with a rooflight installed at rafter level. “Where a dwelling has a roof-light installed but uses a 0.08 Y-value, the conclusion can only therefore be that the BER assessor or client has had thermal modelling carried out to determine the psi-values of this and any other junction requiring assessment, and the Y-value happened to work out at 0.08 by pure coincidence.” As Shannon adds, compliance with the ACDs is not independently validated. “In DEAP, you can enter a figure of 0.08 for thermal bridging, and that will increase your thermal performance dramatically [compared to the 0.15 default]. To use that value, all you need is a letter from the developer or the architect which says you built to ACDs.” He cites a recent development he visited in which extensive thermal bridging issues were utterly misrepresented in the energy rating assessment. Strictly speaking, this is incorrect. As leading property economist Tom Dunne explained in this magazine’s predecessor Construct Ireland3, the market determines what price it’s prepared to pay for property, and new homes must be considered as a part of the available stock that’s up for sale at any given time. Buyers may be prepared to pay more, as the aforementioned reports indicate, but suppose the developer bidding to buy the land wasn’t convinced. They’d work out what price they reckoned each unit might go for, deduct the construction costs – including cost of compliance with Part L – and the remainder is what they’d bid for the land. So higher construction costs aren’t affecting the total development cost, but are rather causing land prices to fall to absorb the construction cost rise. Which is substituting economically unproductive spend on land for job-creating construction activity, with additional benefits in terms of reducing national energy imports and carbon emissions fines.